I am finally on my way home, yaayy! All the same, I am extremely hungry because I get real excited at the prospect of going home. So much so that I forget I have a tummy on days like this. It hits me in the middle of the five hour journey. Not to mention I am so bored because all I can listen to is the annoying Bongo (no offence) that is playing on the North Rift’s radio speaker next to me at the back. Oh well, I might as well spill my thoughts on paper. (This time I actually did it on real tangible paper and took forever to transfer it to this place). Nevertheless, deep down inside, I am happy. Today was one of those days I was overwhelmed by the love of friends and family. (I could cry, it’s just that I am seated next to this guy who looks like he could beat me up, all tattooed, though it took me a whole two hours to notice that the horrid mark on his skin was an actual tattoo. Advice, please do not get a tattoo if you know it will not be visible against your melanin). Ok, enough with the parentheses. The friends I have are awesome folk. My dad and mum are exceptional parents. My exams were alright save for one special case. I call it a method the lecturer identified to prove to us that he calls the shots just in case we were in doubt. He did not even help us much in my opinion. I would not even blame the ‘IDEOS-ers’ and their PDF files in the exam room for this particular paper. It was special. Though I still find it hard to believe a student can make out the tiny letters on that screen hidden under the table while at the same time dodging the invigilator. Back to my point, the one about my happiness. It is happening, I am going to experience my most favourite artiste on earth perform live in concert on 18th. I just had to blog about it! It is the highlight of my short holiday. I scream every time I think about it, like I used to do as a little kid the day before attending the Nairobi ASK show as it was referred to back then. I still cannot understand why exactly I loved the annual event so much. Maybe it was the goggles, or the swings, or the miniature train. Oh yes, definitely the little train!!! From the first day I listened to the song Identity in high school, my heart loved it and it made a home there. 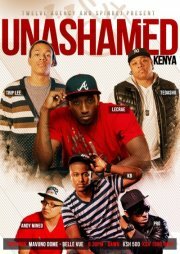 Just because of that, I will conclude this post with a Lecrae mash up. So holla if it hurts, but we were made for greater. Ain’t nothin’ to be ashamed of, we gave it up for the Savior. If ignorance is bliss, it’s ’cause she never heard of this. A journey n a holiday cant get any beta . That was a great piece . Keep on keeping on! I’m so jealous of you! :(( wish i could come too! 🙂 ujienjoy!! I read this a while back and this is when I man up to comment. I loved it. 🙂 funny how lecrae n his clique have a man up anthem 🙂 Thanks David.